Adapted from Wonky Wonderful. Serves 24. 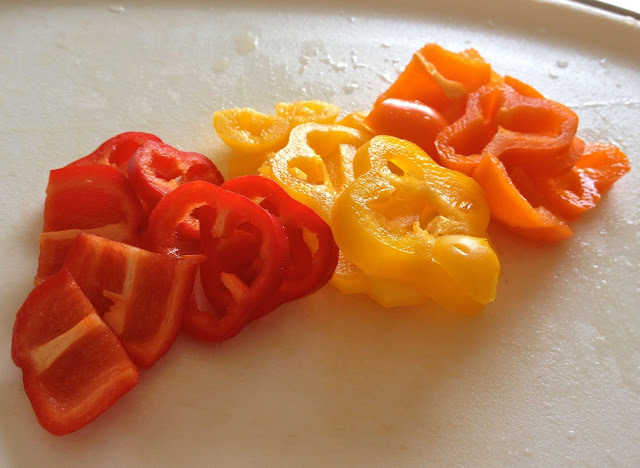 Remove the seeds from the sweet peppers (I sliced my peppers in smaller pieces to quicken the food processing, but you can just cut the peppers in half and remove the seeds). Combine sweet peppers, honey and lemon juice in a food processor. Process into small pieces. Add cream cheese, greek yogurt, and the salt and/or pepper to food processor and process just until well combined. 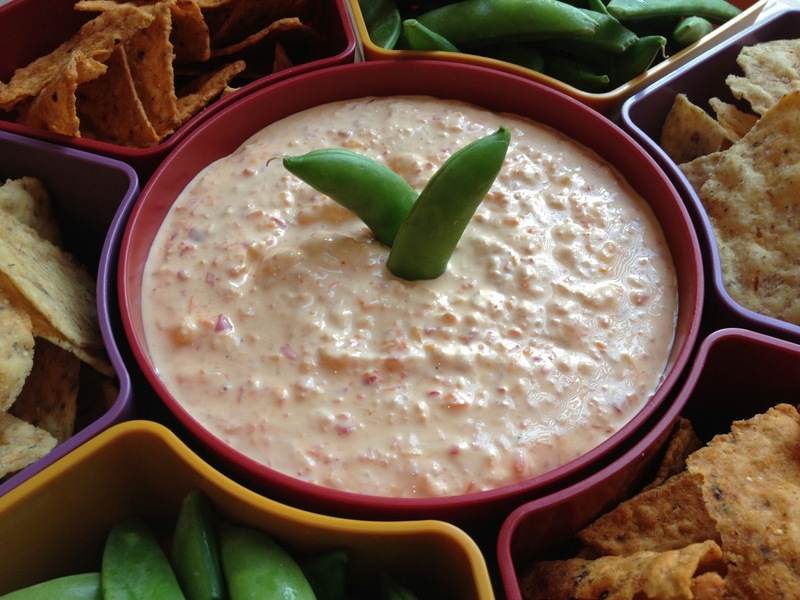 Refrigerate for at least 30 minutes to allow the dip to harden. Then dip chips or vegetables! 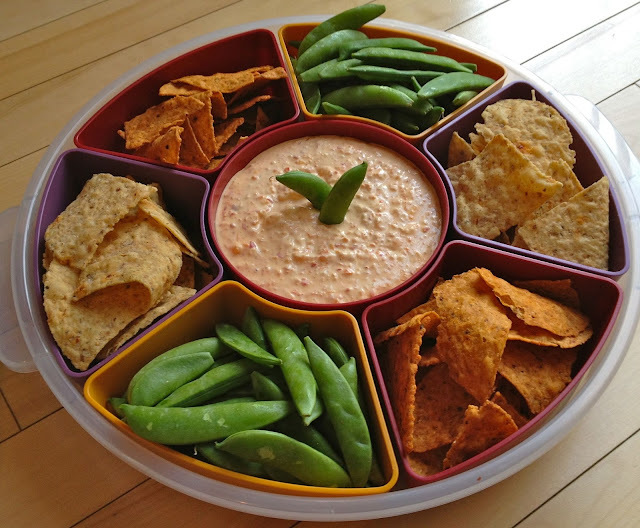 This is how I served the dip. YUM.